When musicologist Brian Shimkovitz traveled to Ghana for the first time to check out the local rap scene, he probably didn’t think he would become the male blogger version of Lara Croft. For almost ten years now, he’s been looking for artifacts in the form of magnetic tapes packed with weird music. Music that has (at least in our region) never been transformed into electrical signals and pumped into our ears before. 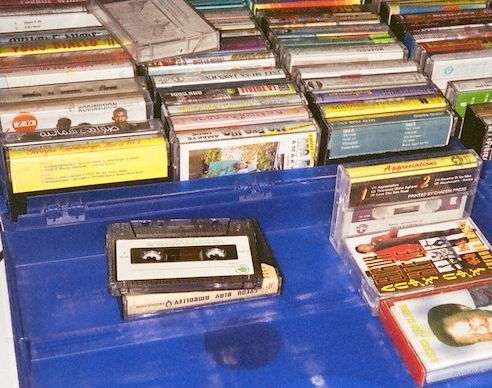 Luckily for us he turned his passion for great music into his blog Awesome Tapes from Africa and even a music label. Whether DJing with cassettes would work live was a huge question for me, but Brian proved it possible (and impressive) just two weeks ago, when Wolfram and his partner-in-crime Felix the Houserat invited him to do a set in Vienna. After a lot of excessive dancing, we used the opportunity to ask Brian to do an Africa-themed A – Z for us, and this is what we got. Axmed Yaasiin (& Sahra Axmed)—Words can’t describe what this song means to me. Some of my favorite Somali music of the moment. Bola—Bola is the second artist to release a record on my label. His Volume 7 came out in April and it’s completely mad: all rapid-fire kologo rhythms and powerful vocals dropping knowledge. 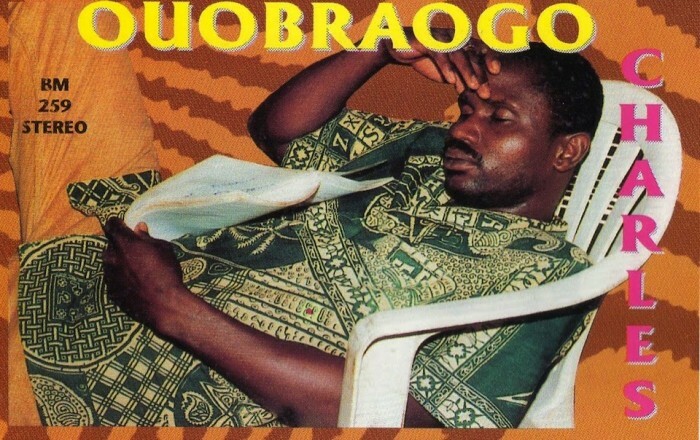 Charles Ouebraogo—Incredibly unique sounds from a Burkina Faso wizard of making traditional rhythms pop. Daouda Dembele—West African is full of griots, the traditional storytelling musicians who help keep track of genealogy and oral history. Here is one of many fascinating recordings that help spread/document this stuff. 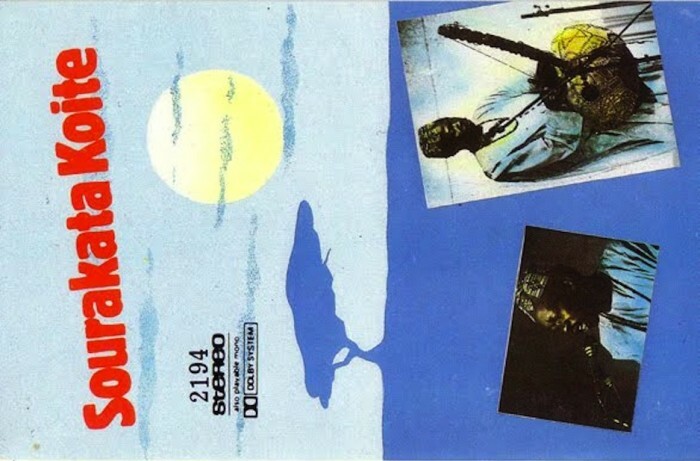 Electric Africa—Manu Dibango recorded dozens of records, but this one is my favorite. It’s an afro-futurist vibe utopia. Franco—Whenever I am DJing and I have to pee really badly and there’s going to be a queue for the toilet I put on a 21-minute version of this song by prolific Congolese soukous master. Getachew Mekurya—Legendary ethiopia sax player… this is the most interesting recording of his I’ve heard. 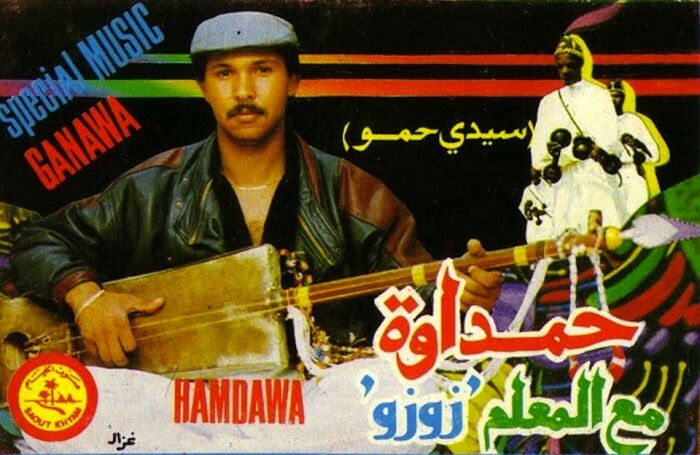 Hamdawa—Top 5 favorite tape covers on Awesome Tapes From Africa. Ibro Diabate—This is a great singer from Guinea, whose music ignited extreme joy in a Guinean emigre one night at a party I played at Monarch in Berlin. Joe Nez—Great soul and R&B singer from Nigeria. I was going to post this tape on Awesome Tapes From Africa but it got eaten by a tape player recently. KK Fosu—I love this Ghanaian radio and club hit from a few years ago. Lamin Fofana— Great producer and DJ who lives in Brooklyn and recently did a remix of a Bola track for the Bola Remixes digital EP. Mudd Up!—Always inspiring, enlightening and fun blog by producer-dj-journalist DJ /Rupture. Nâ Hawa Doumbia—The first release on Awesome Tapes From Africa is by this famous Malian singer whose early work is just astounding. Prince Khonjo—This is a very left-field tape from Kenya. Don’t know much about this but the minimal drum machine paired with traditional elements is really fun. Reggae—When visiting just about anywhere in Africa, you will hear lots of reggae. Which I think is a great thing, it sounds really good in a sunny context. Reggae and dancehall are closely intertwined with many forms of pop music in regions across the continent. Sourakata Koite—Excellently performed kora music. So gentle, so deep, so simple, so dope. Twenty Seven Leggies—This blog is a wealth of info on the Shangaan (Tsonga) disco movement and the sounds that led up to the present bombastic profile. Homeboy has been up on this since long before the Honest Jon’s releases. Voodoo Funk—Super deep website for African music and vinyl diggers in general. Incredible finds from across Africa, available in downloadable DJ mixes, mostly of the funk/disco/soul variety. Yvonne Chaka Chaka—Supersonic star of 80s South African bubblegum mbaqanga R&B. Zimbabwe—The music of Zimbabwe is quite diverse and exciting but because of the current cash crisis and endless political impasse we don’t get a chance to hear much of it. I am certain there are tons of great musicians there who don’t have the means to record and distribute their sounds.